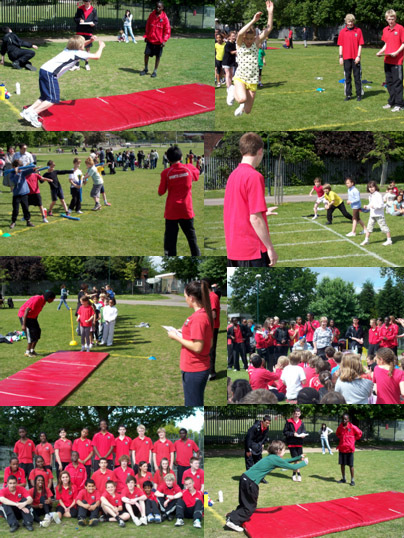 Rhodes Avenue Junior Sports Day was a huge success, with Years 3 – 6 all fully engaged in a carousel of athletic stations including running, throwing & jumping. There was an excellent atmosphere and sense of achievement from all involved. Year 10 Alexandra Park School student sport leaders, from BTEC Sport and PE GCSE courses, supported the smooth running of the day, by escorting the young athletes around Durnsford Park, demonstrating events and scoring their performances. Another successful link, between the two neighboring schools, providing many mutual benefits. Huge credit should go to Emel Ali (PLT) who masterminded the success of both the Infant and Junior sports days.